Best-selling golf author, LPGA and Titleist Performance Institute Golf Level 3 Christina Ricci shares her key points using the HipStart for max results. The HipStart is an effective training aid to train hip rotation and speed. HipStart easily clips onto your belt or pant seam. Take HipStart and clip it onto your belt or pant line. Take the arm and make sure it’s facing away from the target. Without a club, racket or bat, release the arm to the other side. Keep doing this until you feel your hips turning comfortably and you see the Arm move with ease. Average hip speed is just 1 mph. The top pros hip speed is 2.4 mph. This accounts for the difference in average driving distance between pros and amateur golfers. It’s important to keep your shoulder turned away from the target while allowing the HipStart arm to turn first giving you good separation from the hips and shoulders. 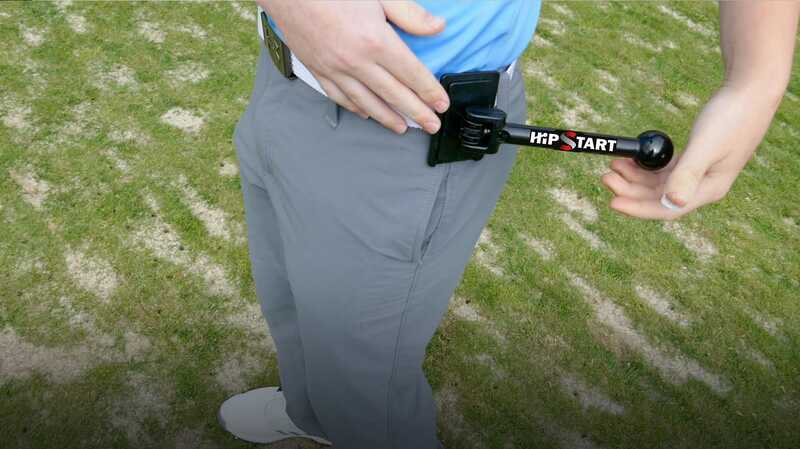 Once you have loosened up the hips using the HipStart, take that same speed out on the course, courts or field.